Study of Stepper motor, Servo motor, DC Motor and feedback control system. 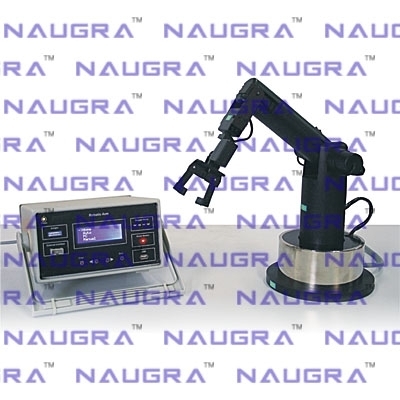 Each servo can be controlled individually by giving start angle, stop angle and speed..
We are leading manufacturers, suppliers & exporters of Robotic Armfor Mechanical Teaching Labs. Contact us to get high quality designed Robotic Armfor Mechanical Teaching Labs for schools, colleges, universities, research labs, laboratories and various industries. We accept bulk orders for government tenders in all countries around the globe. For similar products visit at main page of Mechanical Engineering Trainers.